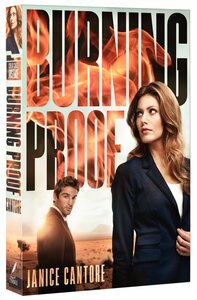 About "Burning Proof (#02 in Cold Case Justice Series)"
:After months of investigating the brutal homicide of a young girl, Detective Abby Hart finally has the evidence she needs. But when the arrest goes terribly wrong, Abby begins to doubt her future as a police officer. As she wrestles with conflicting emotions, old questions about the fire that took her parents? lives come back to haunt her. ?There is proof.? PI Luke Murphy can?t stop thinking about what Abby's former partner, Asa Foster, mumbled just before he died. When he uncovers a clue to the murder of Abby's parents and his uncle, he's reluctant to tell Abby, despite his growing feelings for the beautiful detective.